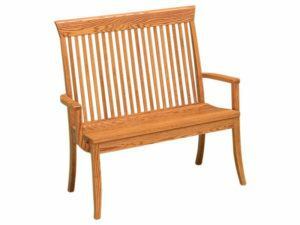 Traditionally associated with farm houses of yesteryear, wooden benches have begun showing up in trendy homes across the nation. 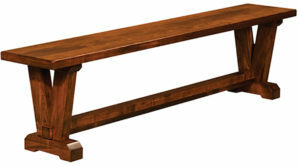 Considering a wooden bench for your home? 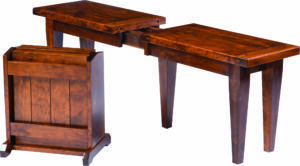 You can’t find a collection that’s sturdier and more durable than the wooden benches from Brandenberry Amish Furniture. 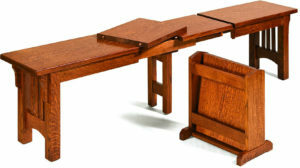 Because skilled Amish cabinetmakers custom-craft each bench. 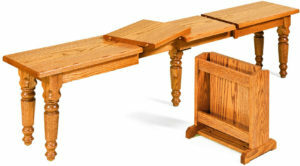 And they use quality hardwoods, plus proven woodworking techniques. No wonder our benches are so sturdy and durable! 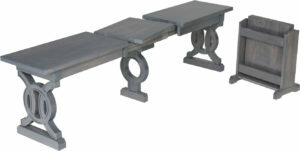 Check out our lineup of benches. Your only issue is which one is the best fit for your tastes and decor. 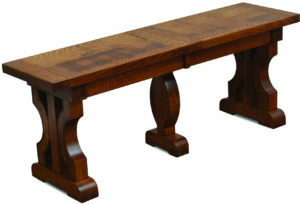 Our selection of wooden benches ranges from traditional to modern. 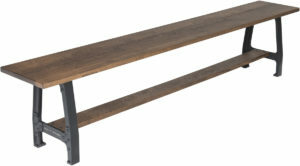 This makes it easy to find the bench that works best in your home. 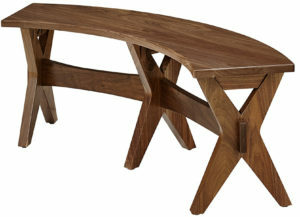 And speaking about homes, the bench will, of course, be ideal for your dining room. 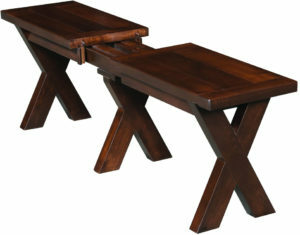 But you can place it in your hallway or entryway as well. Think you might need to extend the bench to accommodate even more people? We got you covered. 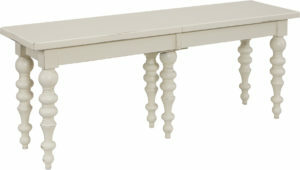 Because our builders designed the benches with leaves, conveniently housed in an extend-a-bench leaf holder. 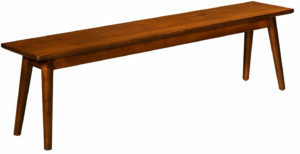 What’s more, you can order a wooden bench as shown. Or, you can ask us to customize yours to your preferences. 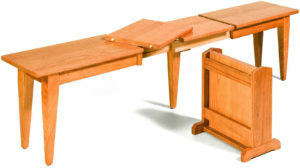 For example, your custom options can include the wood specie and the finish (stain or paint). Plus the final size.